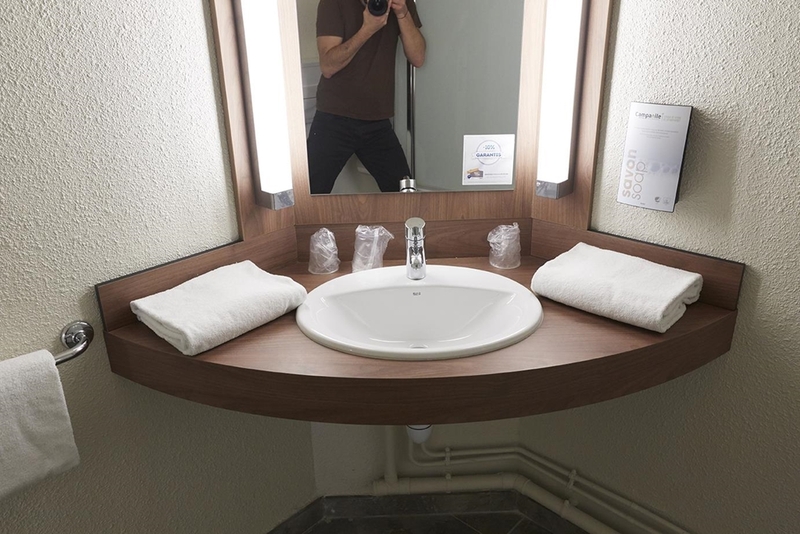 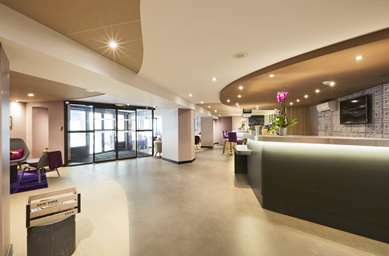 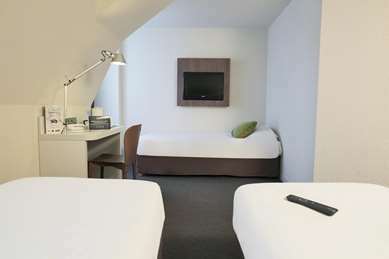 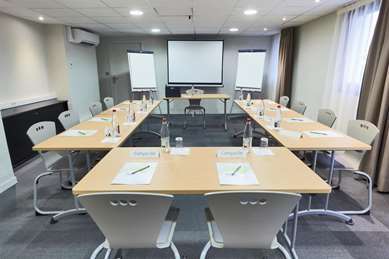 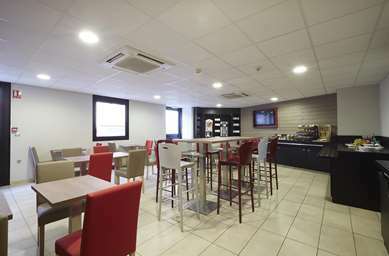 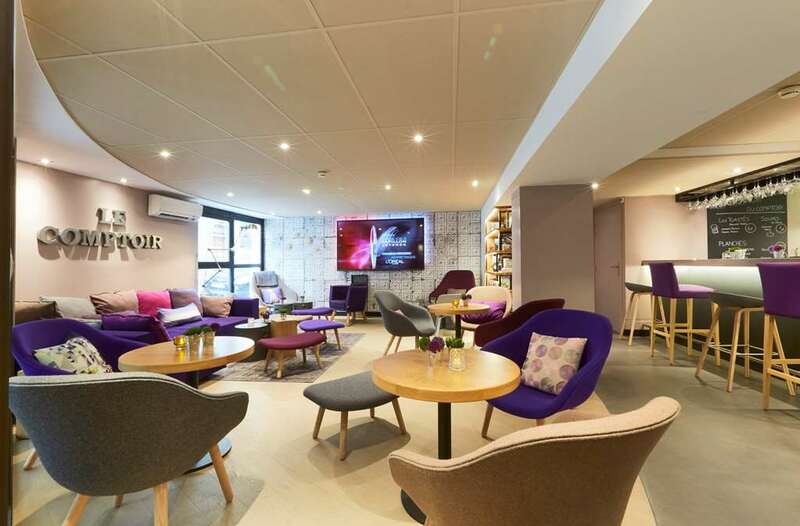 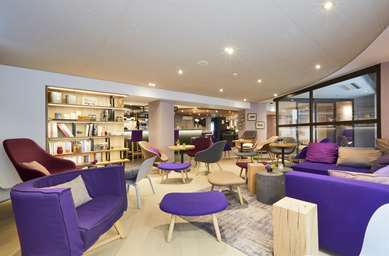 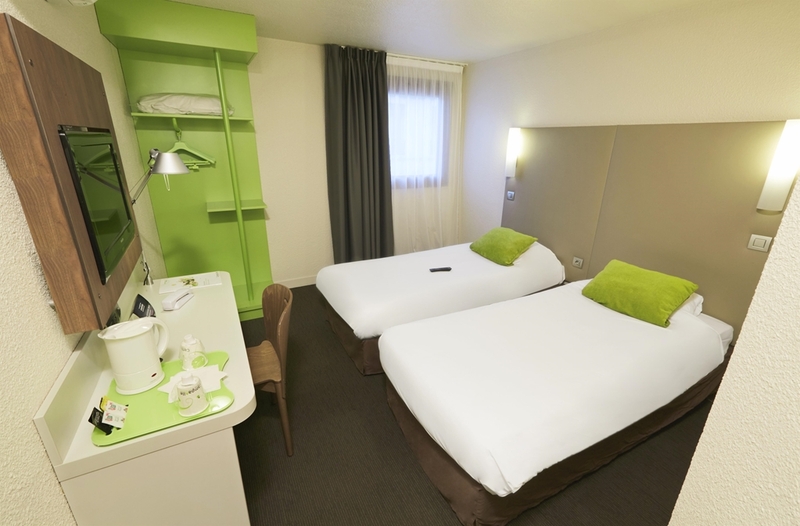 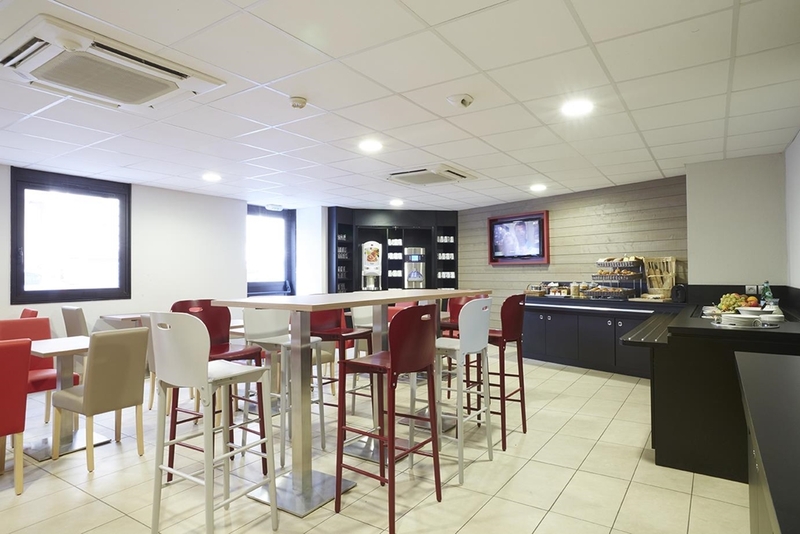 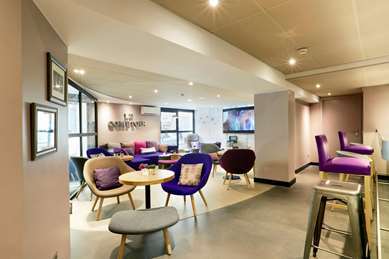 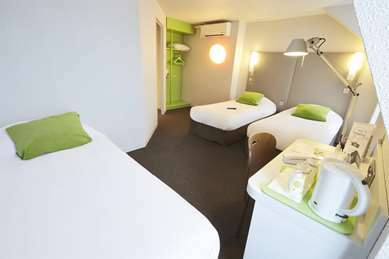 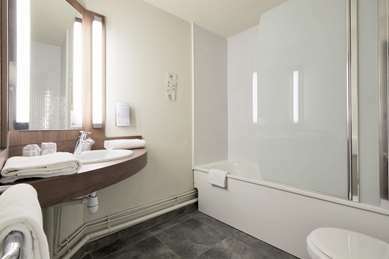 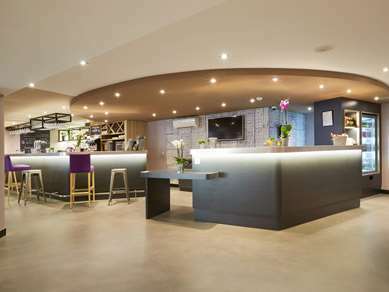 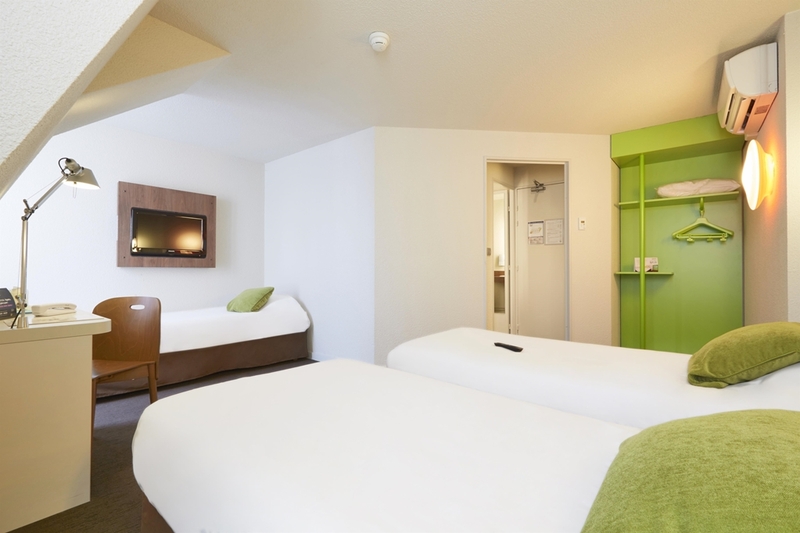 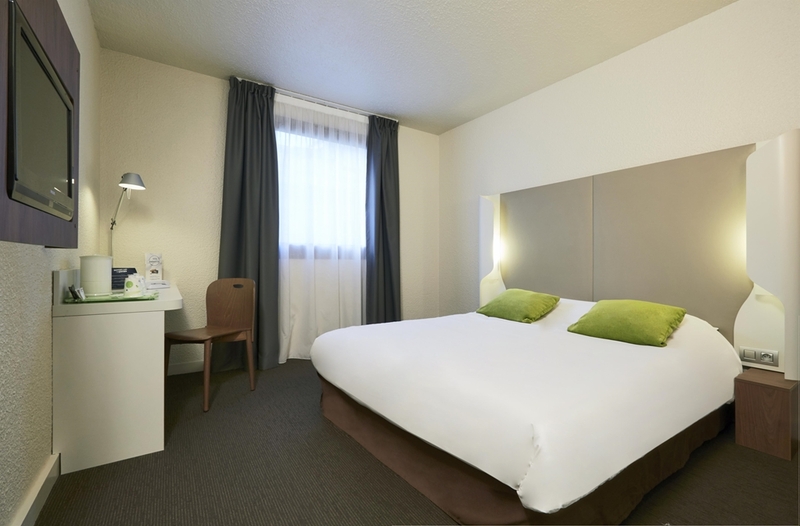 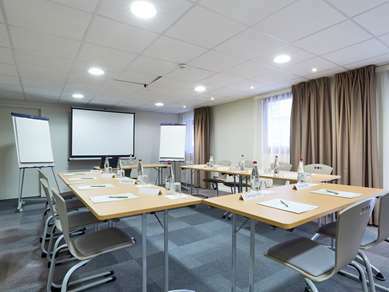 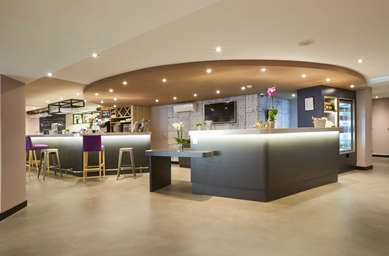 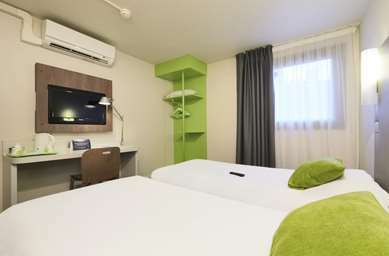 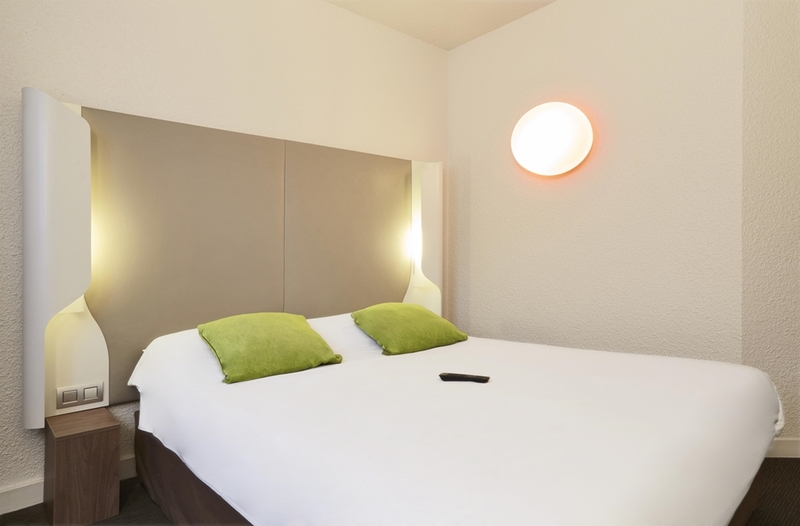 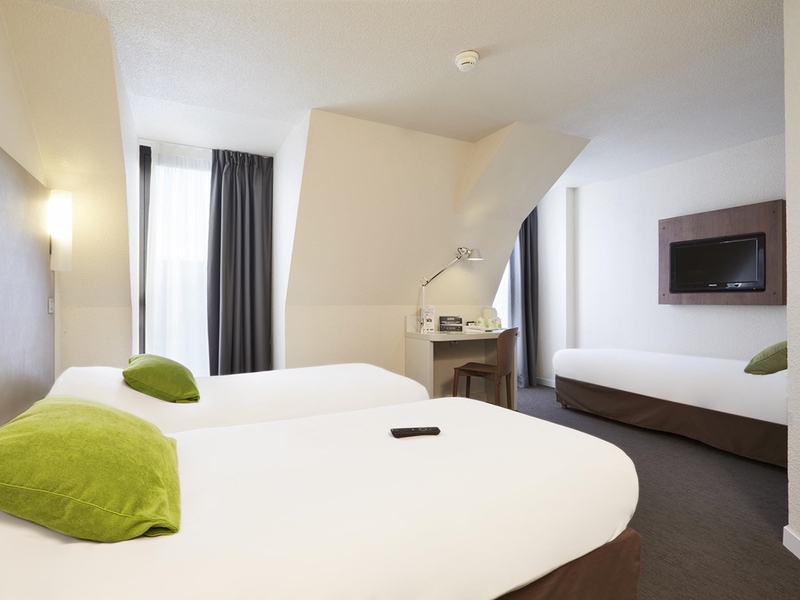 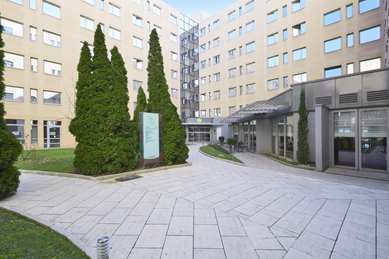 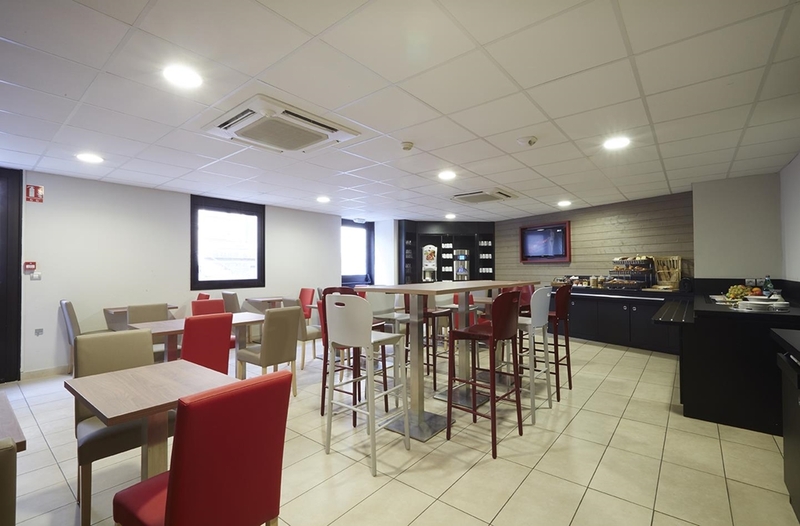 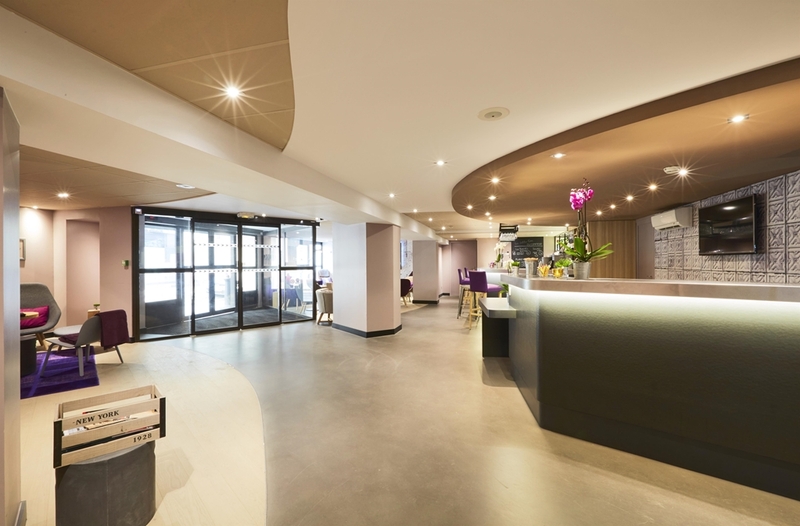 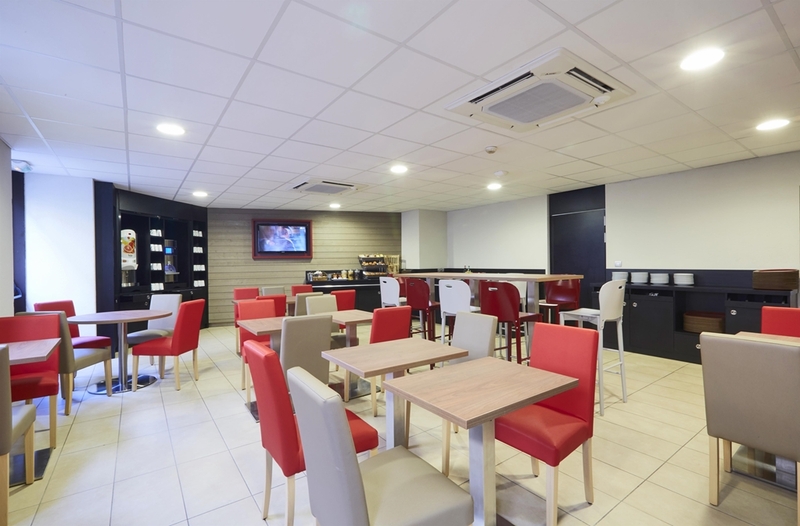 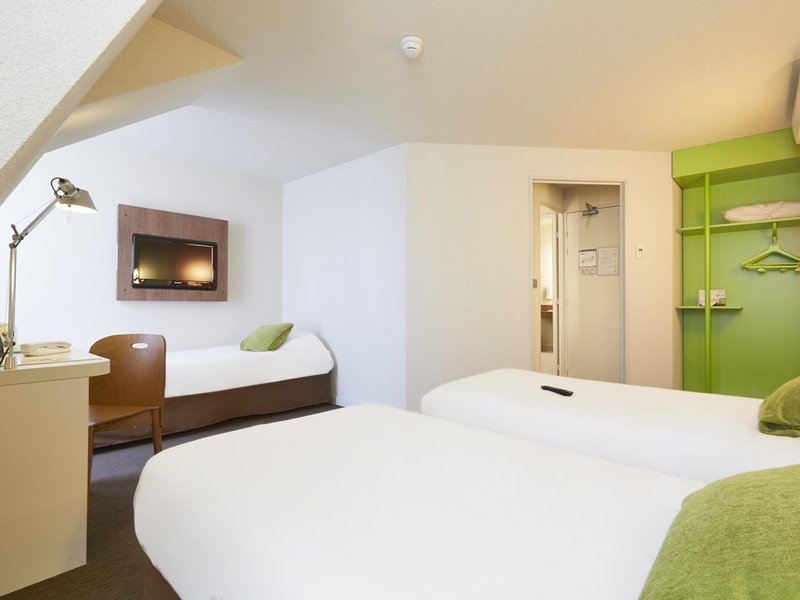 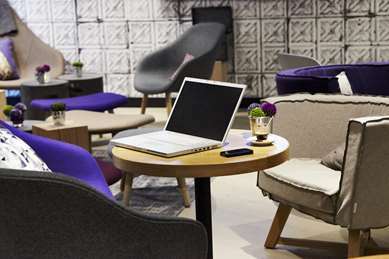 Ideally located at the heart of the centre of Lyon, a five-minute walk from the Place Bellecour and near to the A6 and A7 Paris - Marseille motorways and only 30 minutes from the Saint Exupéry airport via the Rhône Express, the Campanile hotel and restaurant Lyon Centre Berges de Rhône is in an ideal location. The hotel is situated near the financial quarter in Part Dieu, ten minutes from the Part Dieu and Perrache railway stations near the exhibition centre 3.8 kilometres away, less than 14 kilometres away from Eurexpo Exhibition Centre and a short distance away from the main events and tourist attractions in Lyon such as the fête des Lumières. 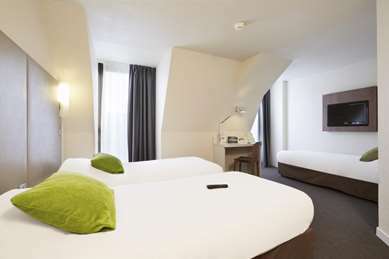 Enjoy your stay in our 3-star hotel and visit Lyon and its historic centre, Vieux Lyon, classed as a Unesco World Heritage Site, as well as its restaurants, ( the "Bouchons Lyonnais". ), the Basilica in Fourvière, the famous Paul Bocuse Hall and the Tête d’Or Parc. The Halle Tony Garnier and the Gerland stadium are located less than 5 kilometres from the hotel. 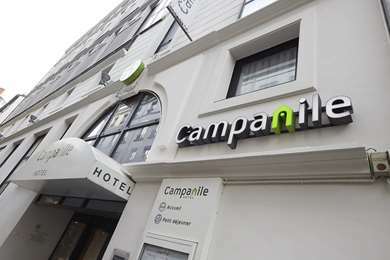 Near the peninsula, the Campanile hotel and restaurant Lyon Centre - Berges du Rhône is served by the city's modern public transport network. 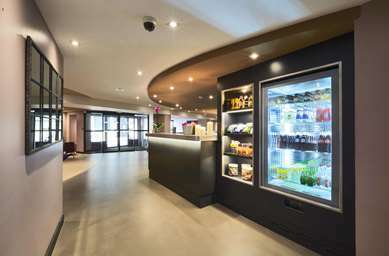 The hotel has parking facilities available for a fee as well as a bar (with soft, non-alcoholic drinks) open 24 hours a day, 7 days a week. 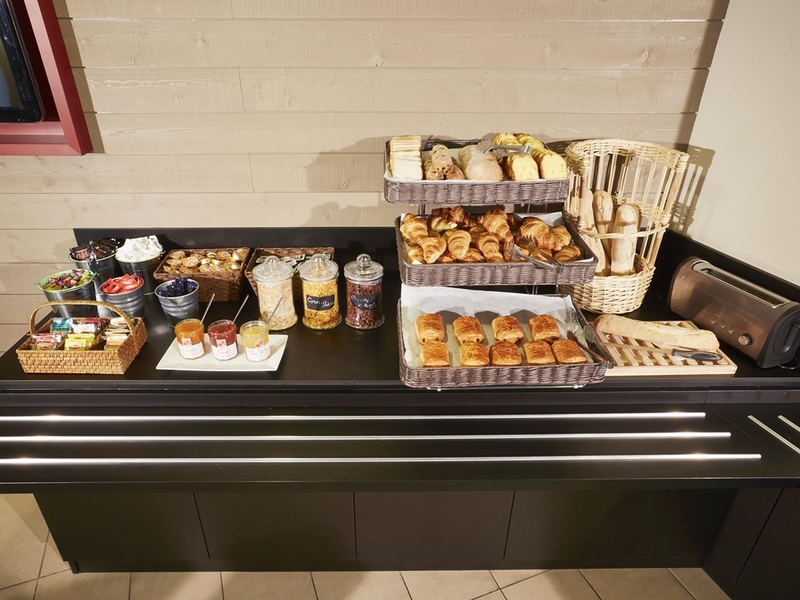 Why not try the restaurant in the Lyon Centre - Berges du Rhône hotel which serves breakfast. If you're here on a course, our meeting room is available for reservation throughout the year and is fitted with a free unlimited Wifi connection. 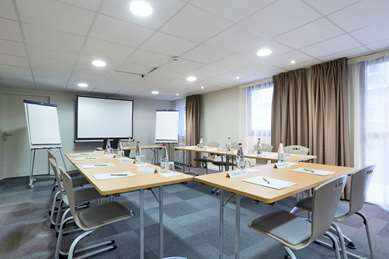 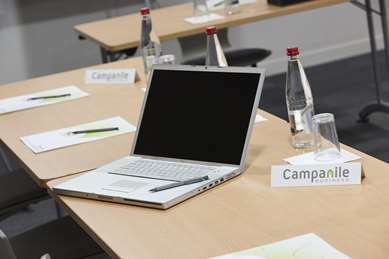 Our well-lit meeting room is fitted with all the latest modern conveniences, projector, telephone, screen, DVD player, flip-chart board and free Wifi. 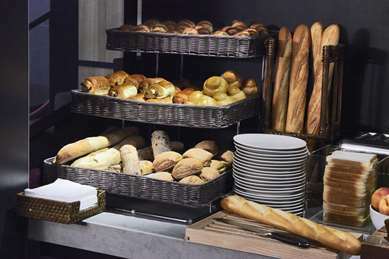 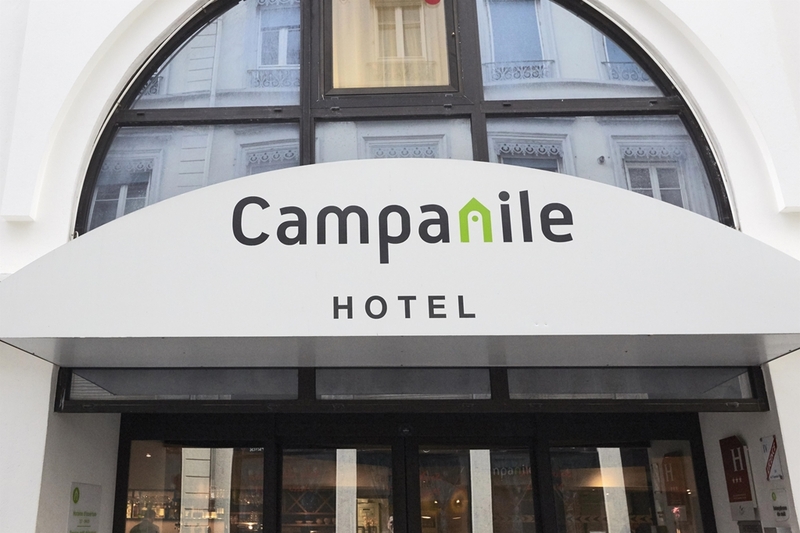 Catering to your every need, LE COMPTOIR CAMPANILE offers a tailored solution, allowing you space to relax or grab a snack should you happen to get peckish at any point throughout the day. In the LE COMPTOIR bar area you can take the chance to share a cocktail, enjoy a snack, have fun with friends or even spend some time in quiet reflection! 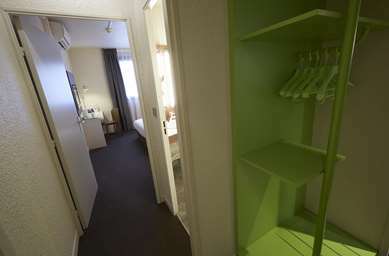 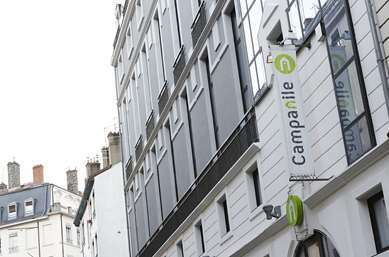 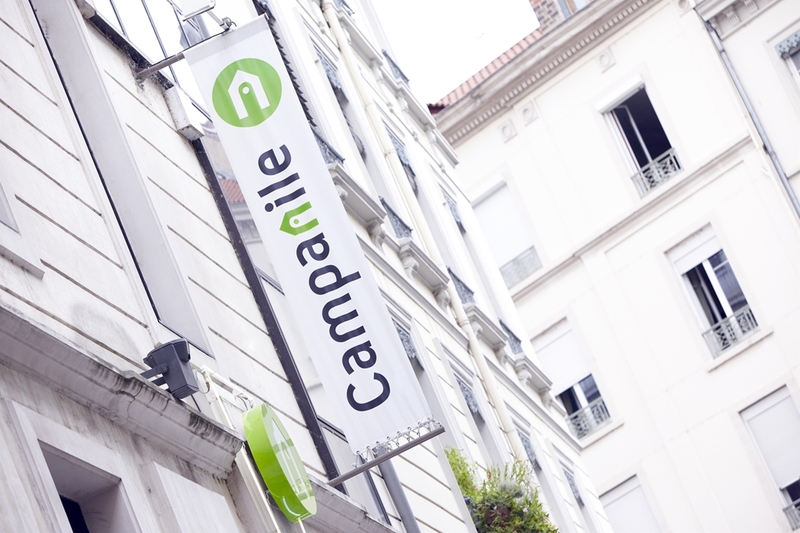 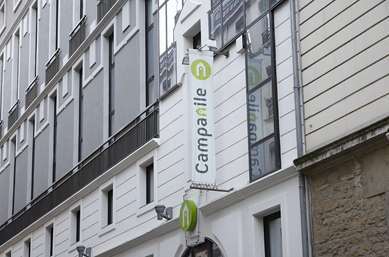 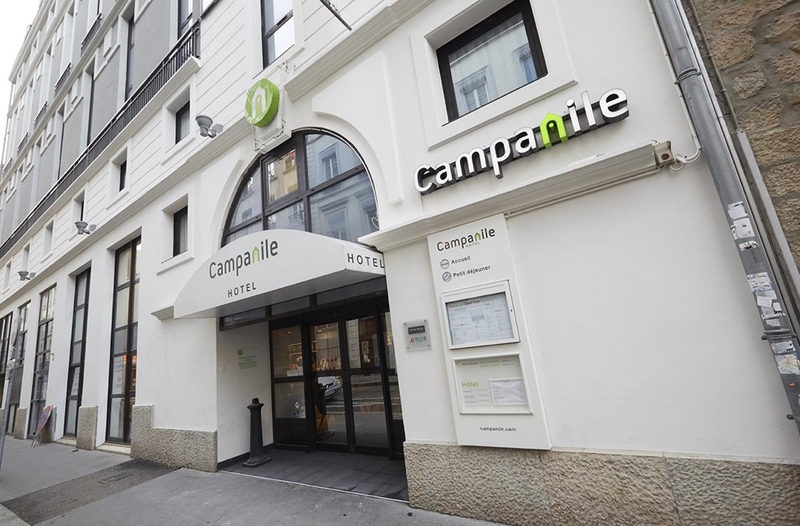 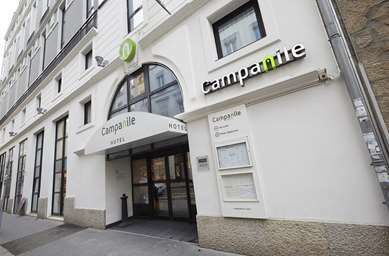 Are you looking for a hotel in Lyon on the Campanile website? 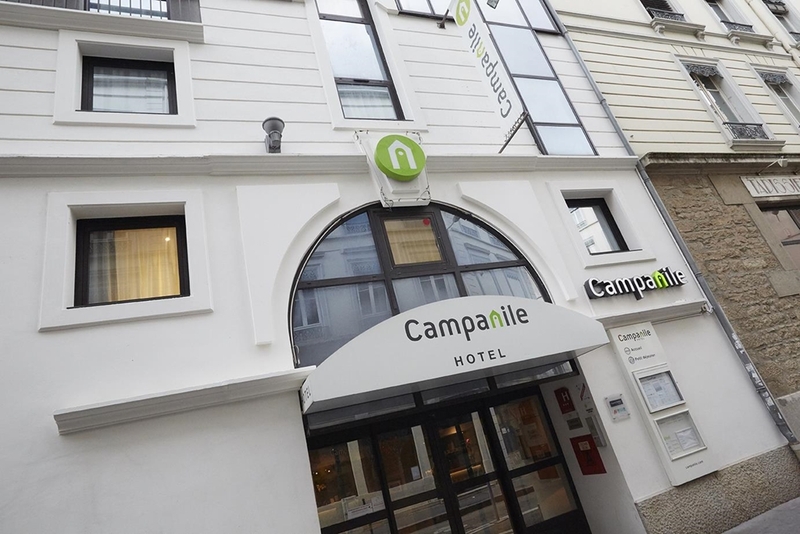 Finding a 3-star hotel Lyon is easy and we recommend the Campanile hotel Lyon Centre - Berges du Rhône. Book online or from your smartphone with the HôtelForYou app for iPhone, BlackBerry and Android. 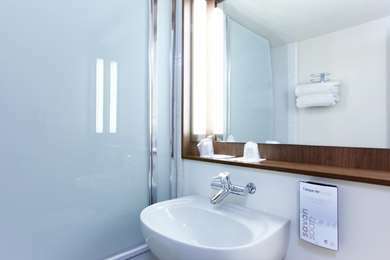 Find your nearest hotel, learn about its facilities and check room availability. 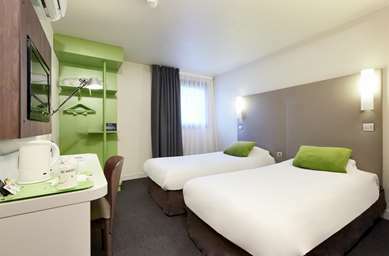 We hope to see you very soon in our 3-star hotel in Lyon! 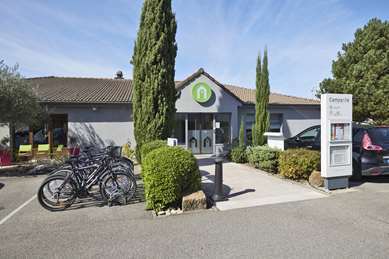 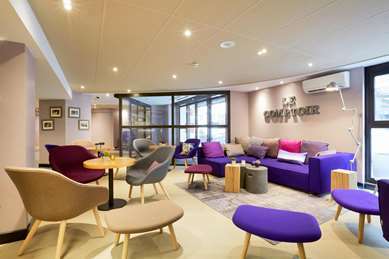 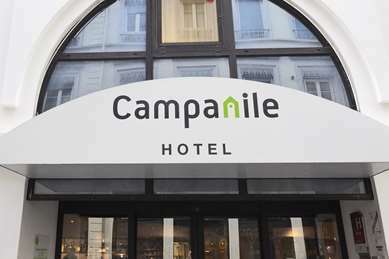 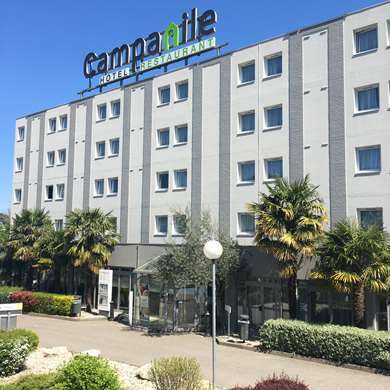 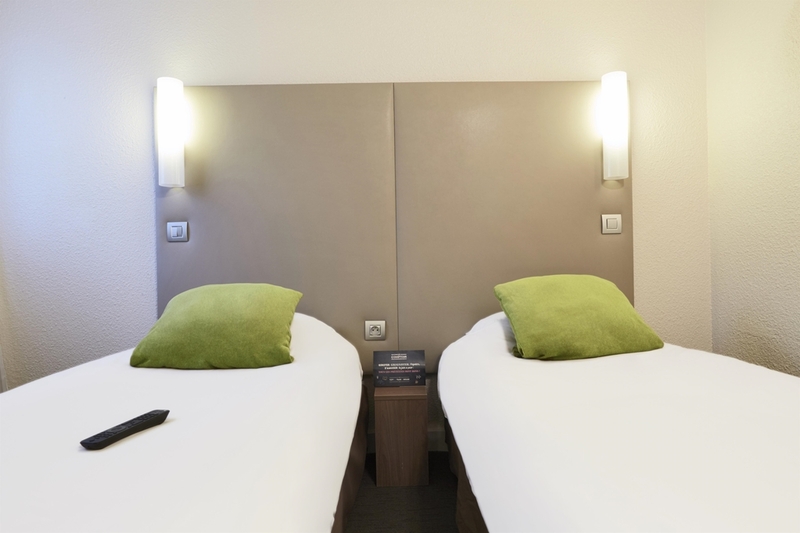 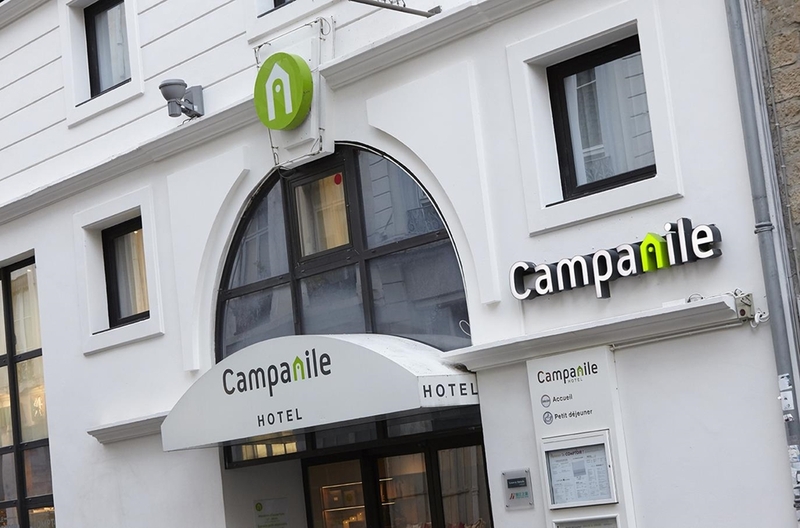 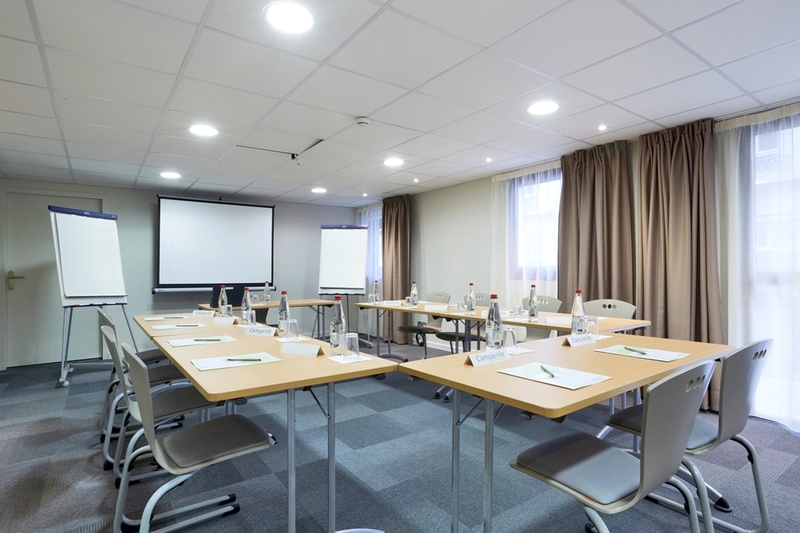 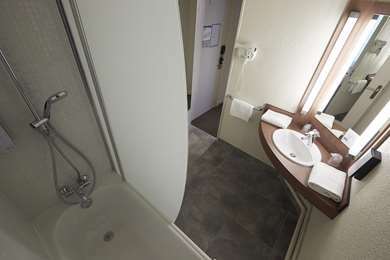 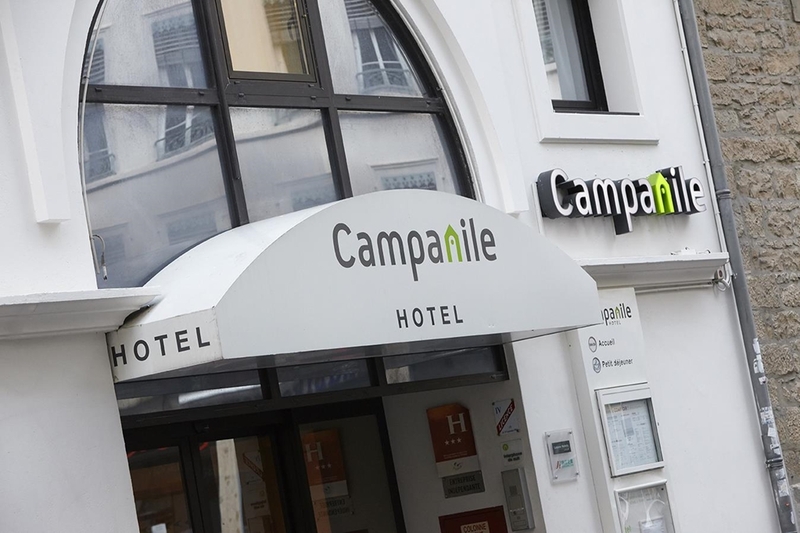 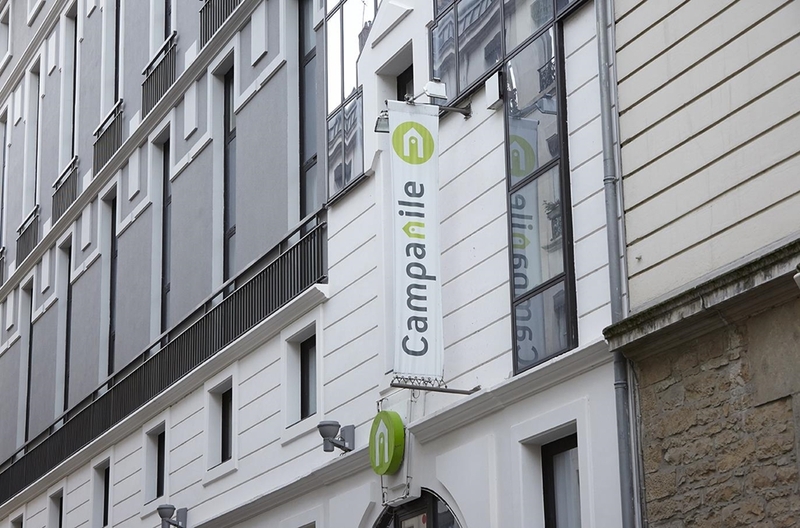 The Campanile hotel in Lyon Sud Chasse sur Rhône has 126 air-conditioned rooms available for reservation, of which 5 have been adapted for guests with limited mobility. Whether you're on your own or in a group of 2, 3 or 4, enjoy the comfort of our bedrooms all fitted with a bathroom with a bath, shower, toilet, hairdryer, TV and work area. 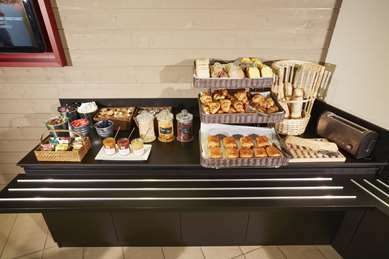 Complementary tea, coffee and biscuits are available. 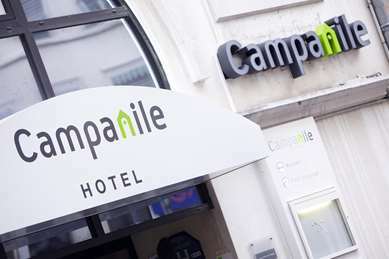 Whether you're here on a family holiday or a business trip, every effort is made for you to feel relaxed and comfortable in the Campanile hotel. 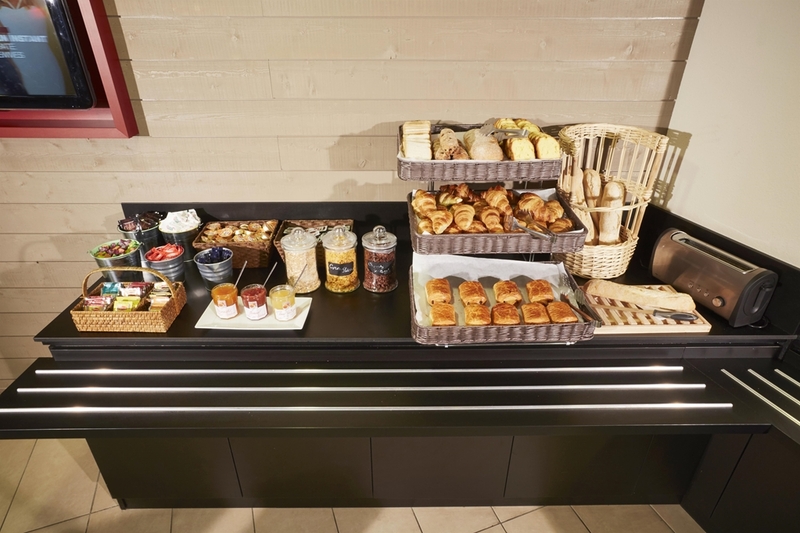 An extensive self-service breakfast is available between 6.30am and 9.30 on weekdays and 7am and 10am at the weekend. Fill up on vitamins with tea. 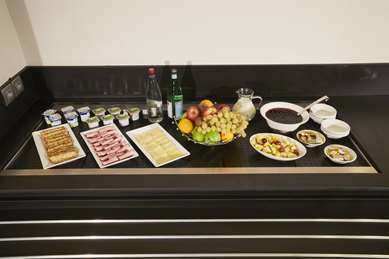 Coffee, fuit juice, cereals, bread, pastries, meats and yoghurts, not forgetting our fruit salad. 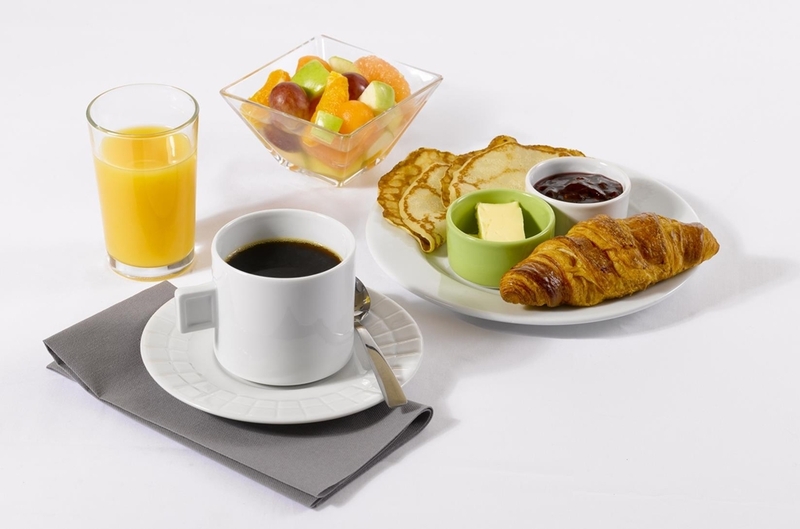 Start your day full of vitality.